The best time of the years for many, and for good reasons; a profusion of food and drinks, family and friends gatherings, gifts and offerings, sharing moments and full nights of enjoyment... Christmas is a season to be enjoyed and cherished. Here are some suggestions for your Holiday season, with the most festive and gourmet experiences in our hotels. Christmas is a time for joy and of gratitude with our family. Enjoy a special Christmas Eve at the hotel beginning with a Horse-drawn carriage ride for the kids in Monte’s main street. After the ride, receive a Hearty Welcome in the bar before indulging in a delicious Christmas Dinner with traditional desserts such as rice pudding, king cake and queen cake, and other sweet desserts! Spend the Christmas day taking part in an exciting Treasure hunt for the kids. Have a Christmas Lunch à la carte, with cheese and desserts table. Enjoy the magic of Christmas in Puglia with thousands of white lights shimmering like stars through the olive branches, bonfires illuminating the stone, the sound of “zampogne” (the traditional bagpipes of the South of Italy), enriched by jute ornaments and by the scent of “pettole” (typical Puglian fried dough) and almond sweets. It's Christmas, reaching the alleys of the Borgo and bringing a pleasantly unexpected atmosphere to the charm of Puglia in wintertime. Enjoy the Christmas markets in The Piazza, with the tasting of typical products and stands enlivened by the local artisans. 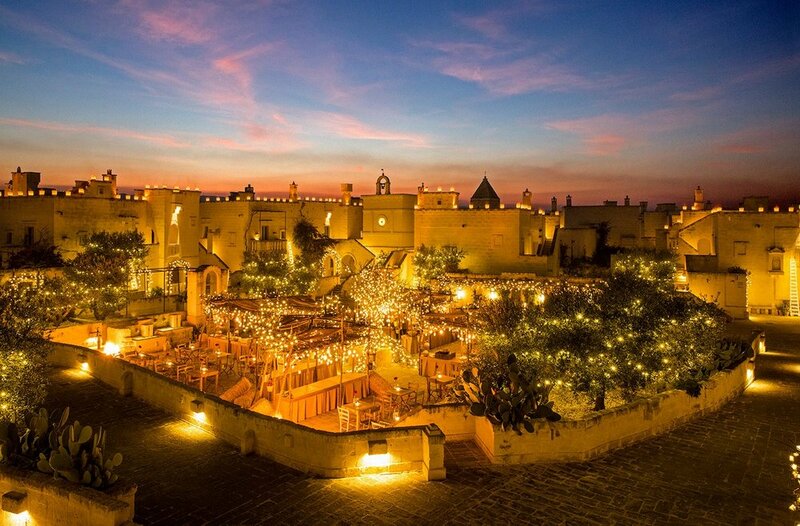 Celebrate a Festive and Gastronomic Christmas at Puente Romano! Enjoy a gourmet 4-course Christmas Eve menu and live music at Sea Grill restaurant. Don't miss out on the Christmas Day Brunch! The selection is featuring turkey, oysters, lobster and a great array of other Mediterranean inspired delicacies; gastronomy feast is completed by a grand assortment of desserts and special Christmas pastries. It´s an eventful day to spend with your friends and family that Santa Claus never skips. As a good tradition, well-behaved will be rewarded by Santa. Christmas is all about gourmet meals and great ambience to enjoy with family and friends. We wish you a Very Merry Christmas Season!